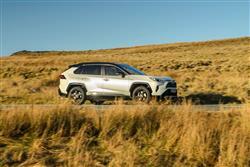 Toyota's RAV4 mid-sized SUV soft roader has been around so long it's easy to forget quite how far it's come. The fifth generation model is bigger, better finished, and far more efficient, thanks to an exclusive reliance on hybrid power. And Toyota hasn't forgotten that cars in this class need to look good and drive well too. Reacquaint yourself with it. You might be in for a surprise. It's easy to underestimate quite what a debt of gratitude we owe the Toyota RAV4. Back in 1994, the market for compact SUVs was massively different to the one we have today. If you wanted a modestly-sized car of this kind back then, you had to do so with the proviso that it was likely to fall over if it was shown a picture of a corner. This was all part of the bargain. You saved money on the upfront cost, but shelled out when it disappeared through a hedgerow on its door handles. The RAV4 changed all that. It was the first compact SUV that was actually good fun to drive on road. But times change. 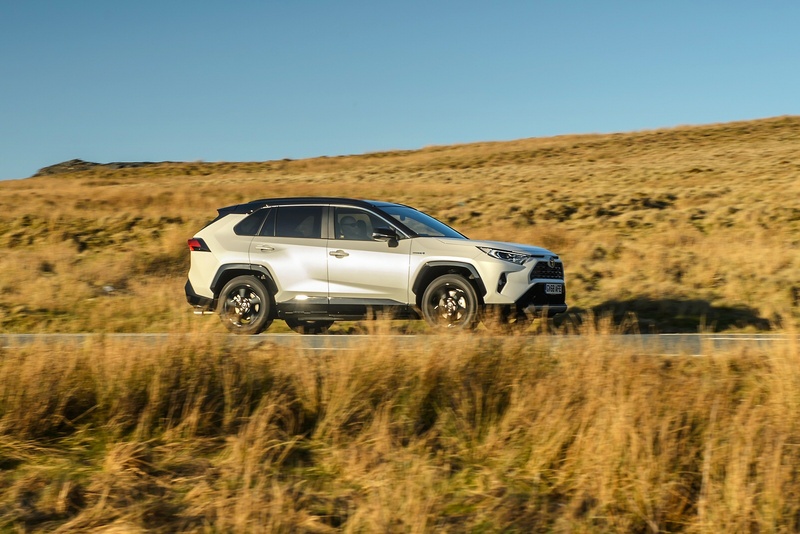 The RAV4 has grown ever bigger and more sophisticated in response to market entrants like the Volkswagen Tiguan, the Honda CR-V and the Ford Kuga. This fifth generation car is a smarter take on a well-established theme. More spacious and more efficient courtesy of hybrid power, it aims to bring the RAV4 back to a prominent position amongst volume brand entrants in the mid-sized SUV marketplace. Having dipped its toe into the hybrid waters with the previous generation version of this model, Toyota has gone all-out with petrol/electric power in this MK5 version. It's all you can have - though buyers are offered the option of either front wheel drive or All-Wheel Drive. 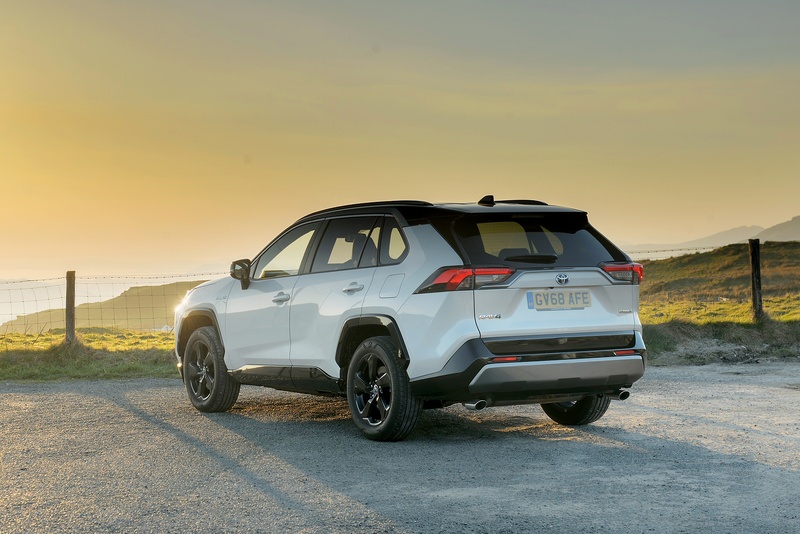 This model's body is stiffer than that the previous one, while its centre of gravity is also lower down: it's all aimed at making this model a more engaging steer, as is the engineering of this fifth generation RAV4's much more sophisticated TNGA GA-K platform. The suspension set-up's more predictable, using MacPherson struts up front, while a double wishbone arrangement at the rear. That engine isn't too much different from the hybrid unit that RAV4 buyers were served up before. It's 2.5-litres in size and generates a combined power output of 215bhp. The All-Wheel Drive variants gain a second electric motor driving the rear axle, which lifts that output slightly to 219bhp. As before, this set-up has to be mated to CVT belt-driven automatic transmission. This demands a relaxed driving style if revs are not to flare every time you exercise your right foot. If you do that, rest to 62mph occupies 8.4s en route to a maximum of 112mph. This fifth generation RAV4 certainly has a more aggressive, angular look than its predecessors. It's now sits 10mm closer to the ground, and at the front, the emphasis is on width and strength with extra volume added to the lower bumper section. There's a similar effect at the rear where the horizontal line created by the tail lights and back window angles sharply downwards at each edge, drawing the eye towards the rear wheels and expressing what the stylists call the "polygon" influence on the design. 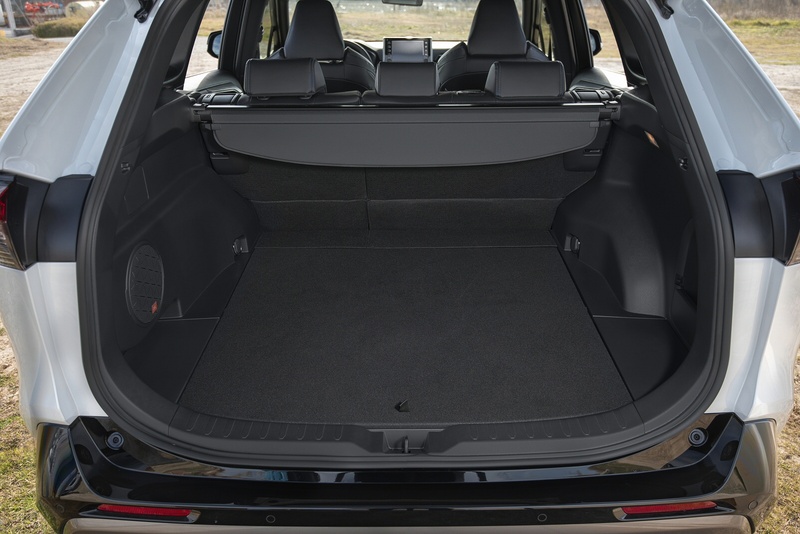 Inside, it's not quite as avant garde as outside, but the cabin is usefully more spacious than before, courtesy of the way that the wheelbase has been stretched by 30mm, so as to increase rear leg room. You can really stretch out in the second row as a result. There's no option of third row seating. Up front, as usual with a RAV4, the finish is functional rather than luxurious. 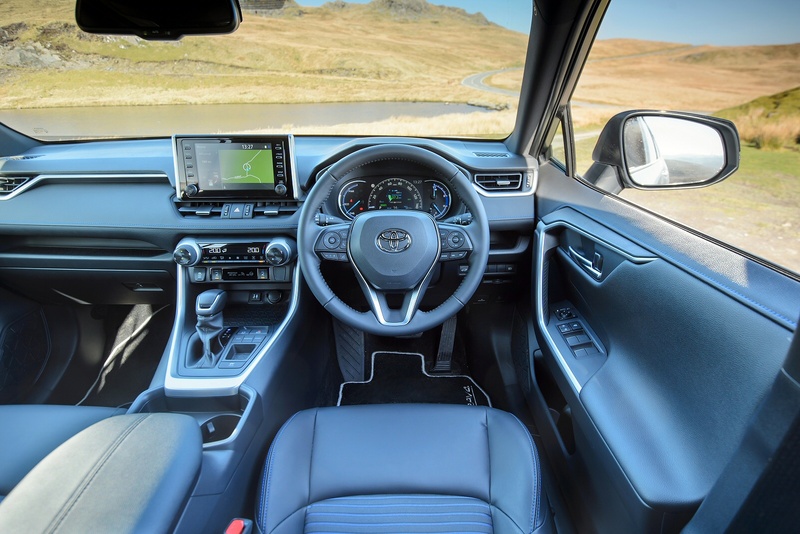 Unfortunately, Toyota hasn't taken the opportunity to upgrade its infotainment technology, which means that the graphics aren't particularly smart and there's no smartphone-mirroring functionality. 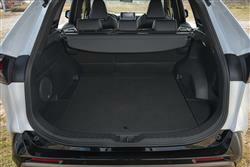 You get a big boot out back though, 580-litres in size. 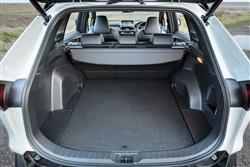 There's 1,690-litres of space on offer if you fold the rear bench. Prices now start at around £30,000 in the all-Hybrid range and run to around £37,000. There's a choice of four trim levels - 'Icon', 'Design', 'Excel' and 'Dynamic'. With each of these options, there's a £1,555 premium to go from a front wheel drive to an AWD version. Even the base 'Icon' models get 17-inch alloy wheels, front fog lights, rear parking sensors, auto headlamps and wipers, roof rails, LED headlights, rear privacy glass and power-folding mirrors. 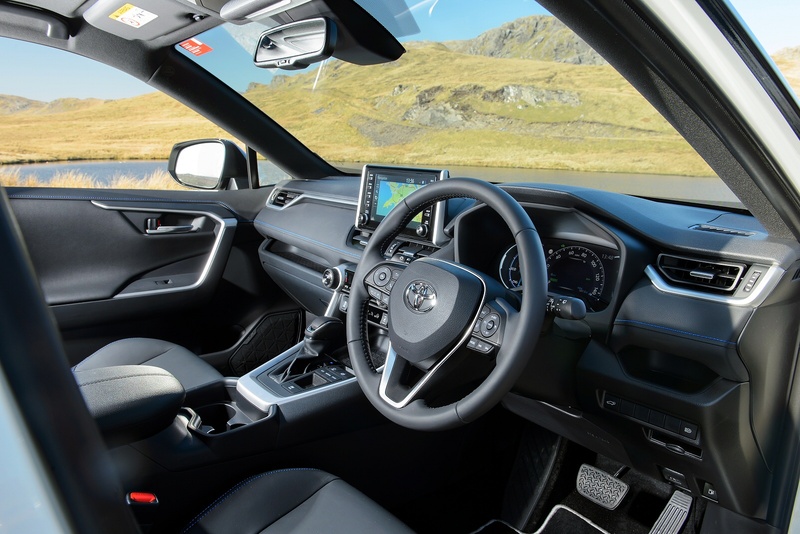 Inside, there's the 'Toyota Touch 2' infotainment screen with a DAB tuner and a rear view camera built in. And all RAV4 models are equipped with the second generation of Toyota Safety Sense. Significant upgrades have been made to some of the systems in the package, notably with the Pre-Collision System now able to detect pedestrians in the vehicle's path during both day and night-time driving, and cyclists during daylight hours. The Adaptive Cruise Control has improved deceleration and acceleration control, keeping the RAV4 a safe distance from the vehicle ahead. Other systems include Lane Departure Alert and Lane Trace Assist, to help keep the vehicle positioned within its traffic lane, Road Sign Assist and Automatic High Beam. Other advanced safety features include a Blind Spot Monitor and Rear Cross Traffic Alert (on 'Excel' and 'Design' grades) for safe manoeuvring. Plus an E-Call service on all models that can automatically alert the emergency services to the vehicle's location in the event of an accident - triggered when the airbags are deployed. 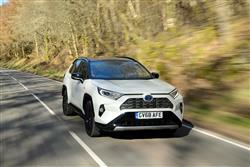 The Japanese maker describes the RAV4 Hybrid's technology as being of the 'self-charging' variety, which means that it isn't of the currently popular Plug-in variety. The brand of course has this technology (it's available on top versions of its Prius model) but currently feels it isn't necessary for the RAV4 line-up. Let's get to the figures. CO2 emissions range between 102 to 105g/km. And the combined cycle fuel figure for the front driven model is quoted at 51.2mpg. Those figures are WLTP-rated, converted to NEDC2-spec. The low emissions mean low Vehicle Excise Duty (£135 annually across the range). And, more importantly, low Benefit-in-Kind taxation for business users. The base RAV4 model has a BiK rating of just 21% - and every other version comes in at 22%, regardless of drivetrain or spec. 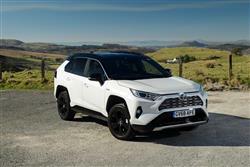 As a result, Toyota thinks that a RAV4 company user will save around £120 a month in tax over what they'd have to fork out by running a comparable Volkswagen Tiguan in either petrol or diesel form. That's a strong incentive. Residual values for the RAV4 have always been good, in most cases bearing comparison with its closest Honda CR-V and Land Rover Discovery Sport rivals and there's little reason to doubt that they'll only improve this time round. What else? Well, the five year 100,000 mile warranty is extremely good and even after that runs out, you'll find that most spares are relatively inexpensive. There's also three years warranty against rust and 12 years of anti-corrosion protection. If you�re looking for a new Toyota RAV4 2.5 VVT-i Hybrid Dynamic 5dr CVT [Pan Rf/JBL+PVM] Hybrid Estate for sale, you�ve come to the right place. 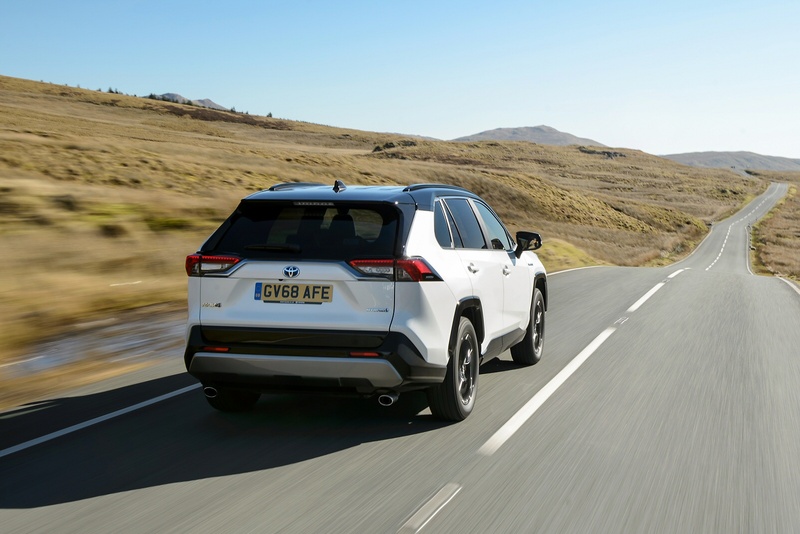 At Bristol Street Motors we don�t just have the best Toyota RAV4 2.5 VVT-i Hybrid Dynamic 5dr CVT [Pan Rf/JBL+PVM] Hybrid Estate deals, we also offer friendly advice and help with all your enquiries to ensure your buying experience is a happy experience.